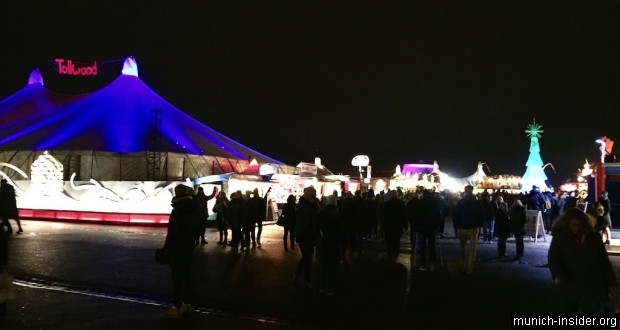 Tollwood Winter Festival 2016 is held from November 23 to December 31 on the Munich’s Theresienwiese square. If you happen to be in the Bavarian capital at this time, we recommend you to visit this festival. The dates of this festival overlap with the traditional Christmas markets. Therefore, it is quite natural that you can drink Glühwein (hot mulled wine) or find unique Christmas gifts on the Theresienwiese. Of course, excellent Bavarian specialties, mostly of organic cuisine, are served here as well. However, there is much more at this festival than traditional German Christmas market. The festival’s motto is the “Marketplace of Ideas”, which includes an original mix of music, theater, circus and unusual exhibitions. In general, all the activities here are under the umbrella of ecology and environment protection. Similarly to the Oktoberfest, huge tents are erected on the square; however, they are not for serving beer, but for shows. BTW most shows are free, except for the concerts given by some invited guest stars, of which a lot is expected. The apotheosis of the festival will be a great New Year’s Eve show – Silvester Party. 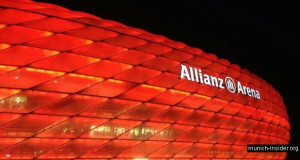 So, do not miss this event if you happen to visit Munich at this time of the year.